“Once again this year, LISI confirms the strategic relevance of its model articulated around its 3 business lines. 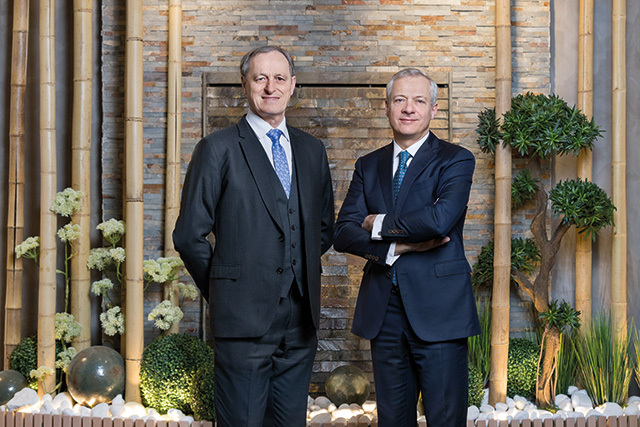 Driven by sustained economic conditions in its main markets, the LISI Group's sales in 2017 amounted to EUR 1.64 billion, up 4.6% over the previous year, including 3.6% organic growth, which remains the main vector of the Group's development. In terms of sales revenue, two symbolic thresholds were crossed by our divisions for the first time in their history in 2017: the EUR 1 billion threshold, which was reached by the Aerospace Division, and the EUR 500 million threshold, which was hit by the Automotive Division. This increase in activity allows the Group's Current Operating Income (EBIT) to increase to a record level of EUR 171 million - an an increase of EUR 14 million over 2016 - corresponding to an Operating Margin (MOP) of 10.4%, up 40 basis points from one year to the next. Another reason for satisfaction in the construction of this result: our three divisions have each contributed to its improvement, in particular our Automotive Division, which is seeing its performance increase in gross value as well as in relative value for the 5th consecutive year. On the other hand, the Group's consolidated net income, penalized by unfavorable exchange rate fluctuations (unlike in 2016), remained stable at EUR 108 million. Despite CAPEX that rose sharply to EUR 140 million, or 8.5% of sales, and thanks in particular to excellent mastery of inventories, consolidated Free Cash Flow reached EUR 46 million. Finally, the Group's net financial debt, which includes the 100% acquisition cost of TERMAX acquired in November 2017, remains limited to 33% of shareholders' equity. All these figures show that in 2017, the LISI Group continued to create value that it intends to share with its shareholders by submitting to their approval a dividend of EUR 0.48 per share. Numerous strategic events marked this 2017 financial year particularly in terms of scope, with firstly the sale at the beginning of the financial year of the aeronautical foundry activity PRECIMETAL acquired as part of the acquisition of MANOIR Industrie in 2014, which did not fall under the Group's strategic orientations; and especially with the acquisition of the US Automotive Fasteners company TERMAX. Thus, following the takeover in 2016 of the medical company REMMELE based in Minneapolis, the acquisition of TERMAX meets the objective that the Group had set itself to have each of its divisions present in all its major world markets. With close to 400 employees in the United States, TERMAX makes this country the LISI Group's second "employment territory" after France with 16% of its workforce and 7 production sites. At the same time and in order to consolidate their organic growth, all our divisions continued their efforts to modernize their industrial facilities, as shown by the record level of CAPEX in 2017; but they have also accelerated the integration of automation and robotics - the number of robots implanted in the group will have almost doubled between 2016 and 2017 - and significantly increased their means and their actions in R&D, as evidenced by the 44 patents registered by the Group in 2017. Although the Group's three main markets remain well oriented in the medium term, activity in the Aerospace Fasteners segment - a major contributor to the Group's performance - should however be slowed down at least in the first half of 2018, following the destocking measures of our assembly products taken by several key customers in the sector. On the other hand, the full-year integration of TERMAX and the development of new products across all of the Group's divisions will constitute significant growth drivers. In this context of contrasting perspectives, LISI is relying more than ever on its internal transversal programs, namely the LISI Excellence Achievement Program (LEAP), the EHSE (Excellence HSE), and the COS (Controlling Operating System) to reinforce the organic development strategy relayed by the continuation of targeted acquisitions offering high value-added products. This two-driver strategy is based entirely on the motivation and skills of all Group employees and on the trust of our customers, whom we all wish to thank sincerely and warmly on this occasion.